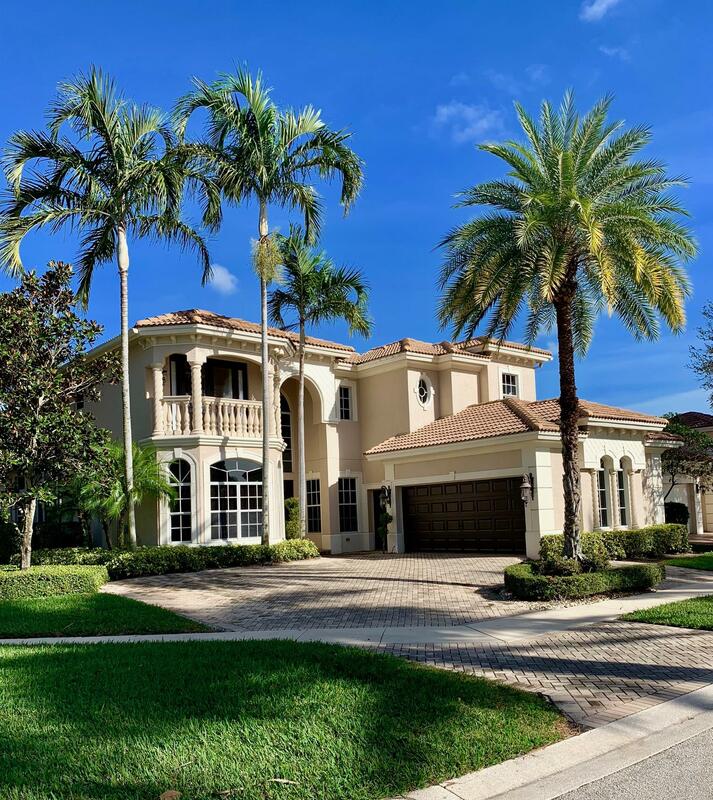 All DELRAY TRAINING CENTER PU homes currently listed for sale in Delray Beach as of 04/21/2019 are shown below. You can change the search criteria at any time by pressing the 'Change Search' button below. "ONE OF THE LARGEST CARRINGTONS IN MIZNER ON A BEAUTIFUL WIDE LAKE/GOLF COURSE VIEW LOT! IMPECCABLE CONDITION; GOURMET CHEF'S KITCHEN WITH LARGE ISLAND AND PROFESSIONAL BOSCH APPLIANCES; CUSTOM BUILT 8 SEAT MOVIE THEATER; NEW CUSTOM FRONT DOORS; POLISHED MARBLE AND WOOD FLOORS THROUGHOUT; CONTROL4 AUTOMATION SYSTEM; WHOLE HOUSE GENERATOR; NEW LENNOX A/C UNITS; NEWLY REMODELED POOL; BUILT IN CLOSETS; SEPARATE HIS AND HER MASTER BATHROOMS; BIG LOFT; LARGE CIRCULAR DRIVEWAY AND EXPANDED PATIO; SUMMER KITCHEN"
"OWNER WANTS OFFERS!!!!! !Totally upgraded contemporary , gorgeous lakefront ''Carrington'' model with sprawling golf and water-views offers comfortable elegance in a luxurious living environment. 5+bdrms + Library/Office, crown moldings throughout, saturnia and marble flooring throughout. 2 story gallery foyer and formal living room and dining room. Gourmet kitchen features custom cabinetry & top of the line appliances, glass enclosed breakfast area has spectacular pool & and lake view. Private & spacious master suite has sitting area and his & her marble baths. Social membership that can be upgraded to golfThe epitome of elegance a MUST SEE!!!!!" "Experience the Luxurious Country Club lifestyle in this Stunning 5 bedroom ESTATE home with POOL.. SPECTACULAR GOLF COURSE VIEWS.FULL GOLF MEMBERSHIP is included with the sale of this house. Recently Remodeled. Great home to entertain friends & family. Spacious Master & Guest suite downstairs.. His & her closets in Master Bedroom. Spa-like Master bathroom/Whirlpool Bath. Open floor plan. Tons of natural light/High Ceilings. Spacious loft and Customized Built in office. (lots of storage space) Outdoor summer kitchen w built in BBQ.. Covered lanai area. Bonus closet downstairs. Beautiful pool area with spa. 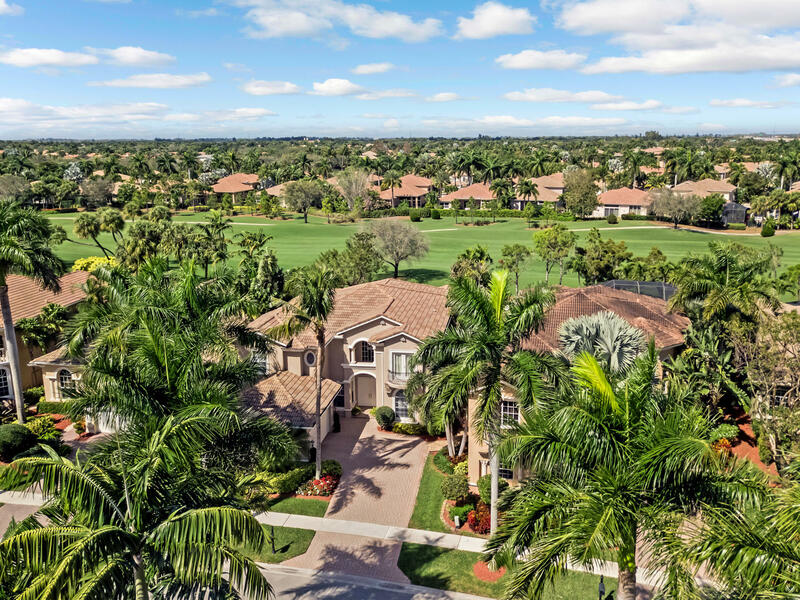 Home is located on Mizner Country Club's Arnold Palmer Signature Golf Course. Walking distance to NEW $23 million dollar clubhouse. A rated schools." "Beautiful well appointed Courtyard home on golf course lot (hole 11) designed by Arnold Palmer. Open floor plan with lots of natural light. Saturnian marble floors throughout the first floor. Accordion Shutters. Gourmet Kitchen. Large master bedrooom on first floor with marble flooring. Master bath with Jacuzzi, separate shower and double sinks. Upstairs loft and 3 bedrooms, 2 with Jack&Jill bathroom. Heated pool with lots of greenery for privacy. Built in summer kitchen and separate guest house. Sprinkler system on well water for huge savings. Magnificent Club House, Tennis Courts and a new state of the art pool area, Gym and additional social area under construction, to open right after the summer. Bring your fussiest buyers. They will love the Mizner way of living." "Beautiful, large home in prestigious Mizner Country Club! 4 bedrooms, office, family room, large open loft . 5 baths. master bedroom, guest bedroom and den/office on first floor. Two bedrooms with 2 baths on the second floor. Stunning wood floors & tile throughout. Beautiful open kitchen with wood cabinets and granite counters. Volume ceilings , walk in closets. This home is in very good condition and ready to move in. Private pool & spa , fenced and lushly landscaped . This is a Country Club community and Buyer must purchase at least a Social membership." "BEAUTIFUL ''LA SERENA'' MODEL FEATURING 4 BEDROOMS PLUS OFFICE AND LOFT ON PANORAMIC GOLF COURSE LOT. Very Open Beautiful Floor plan and decor. GOURMET KITCHEN W/ GRANITE and RESORT STYLE POOL. MUST SEE- Modern & Luxurious. Tastefully furnished. Oversized bedrooms and large screen tvs in every room. All built in closets. New floors thru-out." 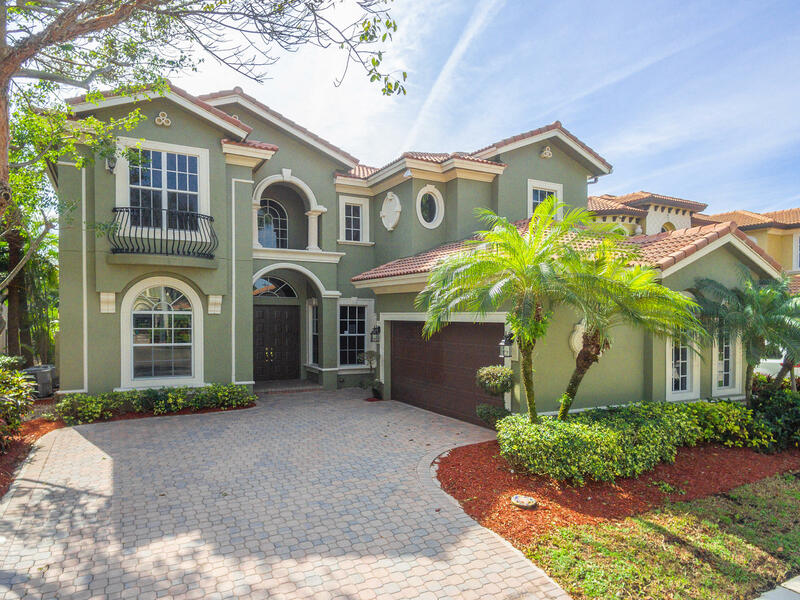 "Gorgeous home situated on the 6th fairway in exclusive Mizner Country Club! Come inside and be wowed by soaring ceilings and spacious living areas along with an inviting kitchen which boasts granite counters and lots of wood cabinetry. The sprawling master suite is located on the first floor and is complete with luxurious master bath. All of the other bedrooms and the loft are spacious as well. Step outside and enjoy a relaxing pool overlooking the fairway! Live the resort lifestyle at Mizner Country Club! This exclusive community offers its residents a state of the art gym, pool, kiddie play area and much more and is conveniently located just minutes from fine shopping & dining, gorgeous area beaches and Palm Beach International Airport." 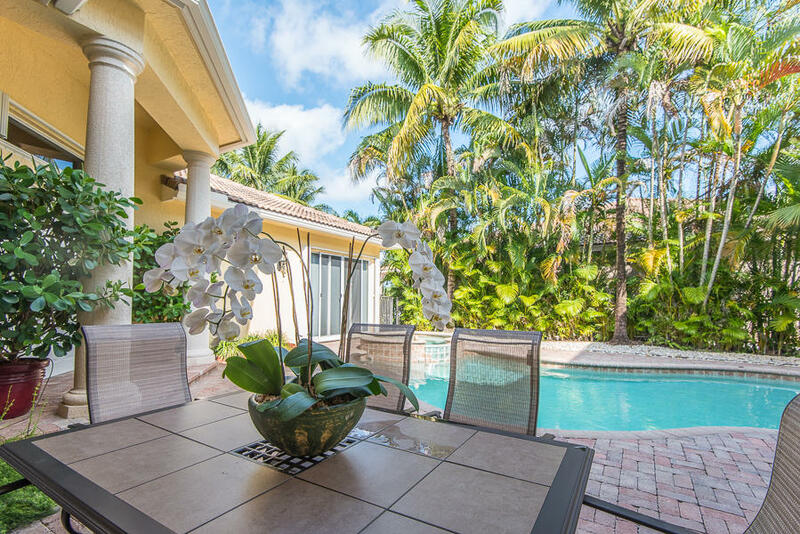 "Gorgeous 4BR/5.5BA pool home located in the prestigious Mizner County Club! This 4,310 sq ft. residence offers all new interior paint and carpeting and 2 new A/C units. Boasting formal living & dining rooms, an office/den, sizable bedrooms and a gracious master suite. The open concept kitchen w/ granite counter tops and lengthy breakfast bar overlooks the spacious family room. Entertain guests in your backyard oasis with a covered patio, luxury pool and no rear neighbors! Social equity required w/ optional upgrades. To help visualize this home's floorplan and to highlight its potential, virtual furnishings may have been added to photos found in this listing. All Information recorded in the MLS is intended to be accurate but cannot be guaranteed, buyer advised to verify. Sold As-Is"